The wraps come off of the brand new research library and reading room in the newly restored 1920 “small adobe” on Saturday, June 11. This is a non-fundraising event for friends of Rancho Camulos. Margaritas and munchies will be served. RSVP (required) to 805-521-1521 or info@ranchocamulos.org. 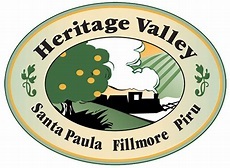 Rancho Camulos National Historic Landmark is located on Heritage Valley’s historic Highway 126, one mile East of Piru and is open for docent-led tours on Sundays at 1 p.m., 2 p.m. and 3 p.m.